Spring has sprung! It is time for a refresh around the home… so throw out those conventional toxic home cleaning products, and make room for greener, more eco-friendly options to clean and sanitize everything from the kitchen counters to your clothing & bedding! 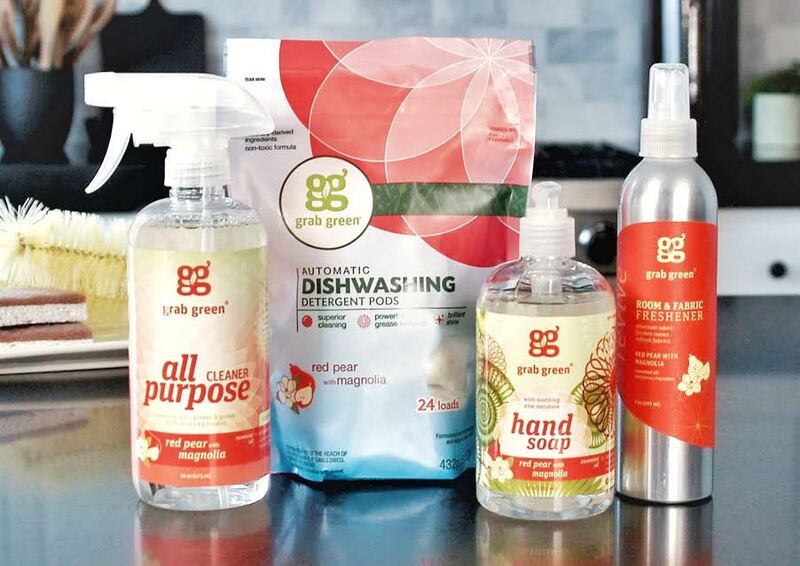 At Tiny Green Mom, we were given the opportunity to try an array of earth-friendly cleaning products & items that truly stood up to the test of a busy household with little ones! This eco-fabulous line was recently seen at Natural Products Expo West… and the secret is out! With a wide range of green products, including a line of laundry pods and dishwashing detergent shown in third-party studies to outperform Tide and Cascade in several key cleaning tests, Grab Green Home quickly made an impression in our home. Not only do the products clean effectively, but the scents are a-mazing! Done with dinner? Quickly wipe up with their All-Purpose Cleaner in Red Pear with Magnolia, Tangerine with Lemongrass or Thyme with Fig Leaf! I know – hard to choose, right?! Proudly Made in the USA with no harsh chemicals or phosphates, the line is safe, non-toxic, and uses naturally derived ingredients. You can learn more at http://www.grabgreenhome.com/. Once your home has been cleaned and refreshed, create the perfect atmosphere with Bright Endeavors, a social enterprise that is lighting the way out of poverty for young moms with their flagship signature glass candles. 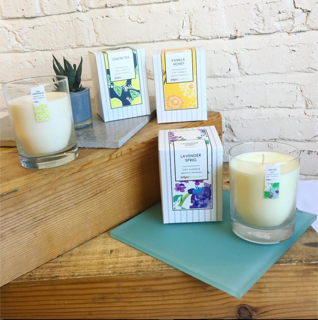 Packaged in compostable boxes and made from recycled glass and clean-burning soy wax, these candles are packed with uplifting fragrances to brighten and freshen your home, including Lime Lemongrass, Sandalwood Patchouli, and Water Lily. Not only do the candles give off a delightful aroma (we loved the Lime Lemongrass! ), but you can feel good about the mission behind this company every time you light one! Save yourself a trip to the dry cleaners (and $$$) and save the planet at the same time! Dryel is an at-home dry cleaner that uses the power of steam to clean and deodorize clothing all in a home dryer. 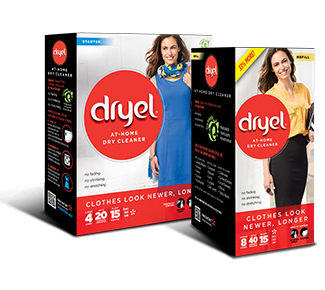 Dryel refreshes and renews clothes in 15 minutes or deep cleans in 30 minutes. Unlike conventional dry cleaners, Dryel does not use the harmful chemical PERC (perchloroethylene). According to the EPA, PERC is a synthetic, volatile organic compound (VOC) that poses a health risk to humans and a threat to the environment. Even minimal contact with PERC can cause adverse health effects on the nervous system that include dizziness, headaches, fatigue, nausea, unconsciousness. PERC is not only hazardous for people who work in dry cleaning shops or bring home dry cleaned clothes. PERC can also get into our air, water, and soil during the cleaning, purification, and waste disposal phases of dry cleaning, according to the EPA. Did you know that most home air fresheners contain cancer-causing solvents? To freshen up the home and rid it of harmful chemicals, turn to the sustainable and eco-friendly option for home fragrance – Enviroscent Bursts. “Mom” is loving these new alternatives to toxic air fresheners! 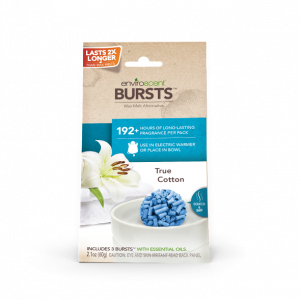 Bursts are non-toxic and last up twice as long as wax melts without the fragrance ever changing. Enviroscent Bursts are entirely recyclable and sustainably sourced. Either place on a warmer for a more intense scent or place in a jar for an added pop of color (and scent) in any room! Scents include True Cotton, Wild Lavender, Paradise Breeze, Amber Woods, and White Winter Fir. Available at Wal-Mart or online at http://smellthegood.com/. You can visit their website for a printable $1.00 off coupon, too! http://tinygreenmom.com/wp-content/uploads/2017/04/Grab-Green-Group.jpg 638 902 Tiny Green Mom http://tinygreenmom.com/wp-content/uploads/2018/07/logo-sm.png Tiny Green Mom2017-04-29 04:35:052017-04-29 04:35:05Spring Cleaning & Greening! With Thanksgiving just days away, this weekend will most likely be spent freshening, cleaning and sprucing up the home in preparation for family and friends! 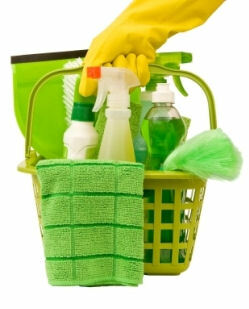 Why not ‘green up’ your cleaning routine as you mop, dust, wash the dishes and launder the sheets? “Mom” has chosen a few of her favorite eco-friendly cleaning items to make the job an earth-friendly one! Yee-haw! Treat your linens and your guests to freshly laundered sheets and bedding! 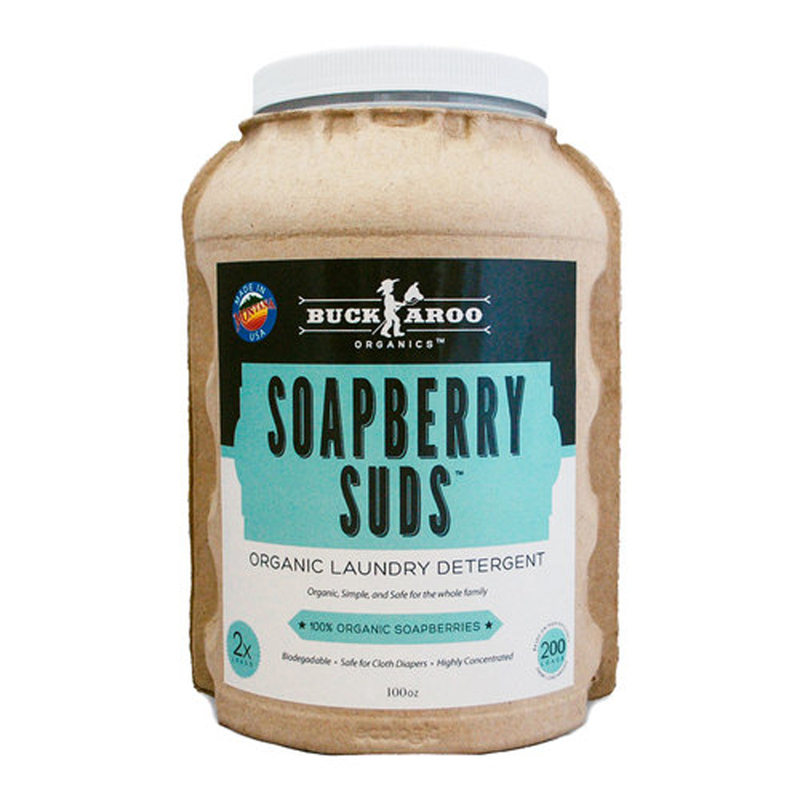 Instead of using a synthetic surfactant or soaping agent, Buckaroo Organics’ detergent contains 100% USDA Certified Organic Soapberries, which are also known as soapnuts. All ingredients used in the detergent are organic, natural and safe for both family and the environment. It is also hypo-allergenic and a wonderful choice for those with sensitivities. Germany’s “Most Trusted Household Cleaning Brand” is now available in the US, and your dishes will sparkle and shine for your guests on Thanksgiving Day when you use this dishwashing liquid. 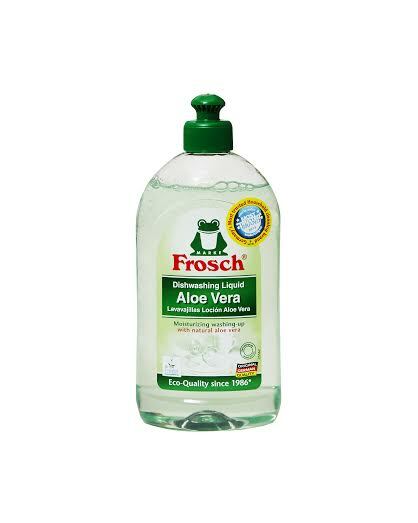 The Aloe Vera Dishwashing Liquid gets dishes spotlessly clean while moisturizing hands, and smells amazing! One of “Mom’s” favorite essential oils is lavender, and cleaning with the Lavender Universal Cleaner is like breathing in relaxation as you scrub, mop and prep the household. The Lavender Universal Cleaner cleans away dirt and grease while sanitizing floors and most washable household surfaces, leaving behind only a wonderful scent! This Fall, choose to use cleaning products around the home that are environmentally-friendly and less toxic! We have chosen our top three picks for keeping everything squeaky clean as you prepare your home for the approaching holiday season! Both antibacterial and antiviral, these new wipes are formulated with a patented formulation of thyme oil that kills over 99.9% of germs botanically on hard, non-porous surfaces. To wipe up a quick spill or to disinfect your child’s toy after it has been dropped on the floor, CleanWell Botanical Wipes are a busy parent’s new favorite cleaning product! 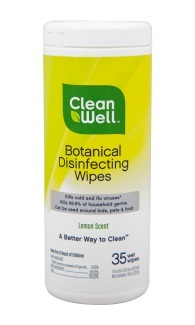 The CleanWell Botanical Surface Disinfecting Wipes come in fresh lemon and citrus scents, and are suitable to use around the whole family, including pets. The wipes do not contain synthetic fragrances, dyes, ammonia, alcohol or chlorine. “Mom” likes to use non-toxic yet effective spray cleaners around her home, and the newest gem to add to your cleaning arsenal is the Grime Fighter All Purpose Cleaner from BabyGanics! This is a multi-surface cleaner that gets the job done just as well as the ones that typically use harsh bleaches and chemicals. “Mom” is pleased to report that your family won’t be exposed to harmful ingredients, thanks to The Grime Fighter’s specially formulated, plant-based cleaning agents. Plus, it contains no parabens, sulfates, phthalates or toxins. You can learn more about BabyGanics, which is fast becoming one of “Mom’s” go to all-natural product lines, at BabyGanics.com. 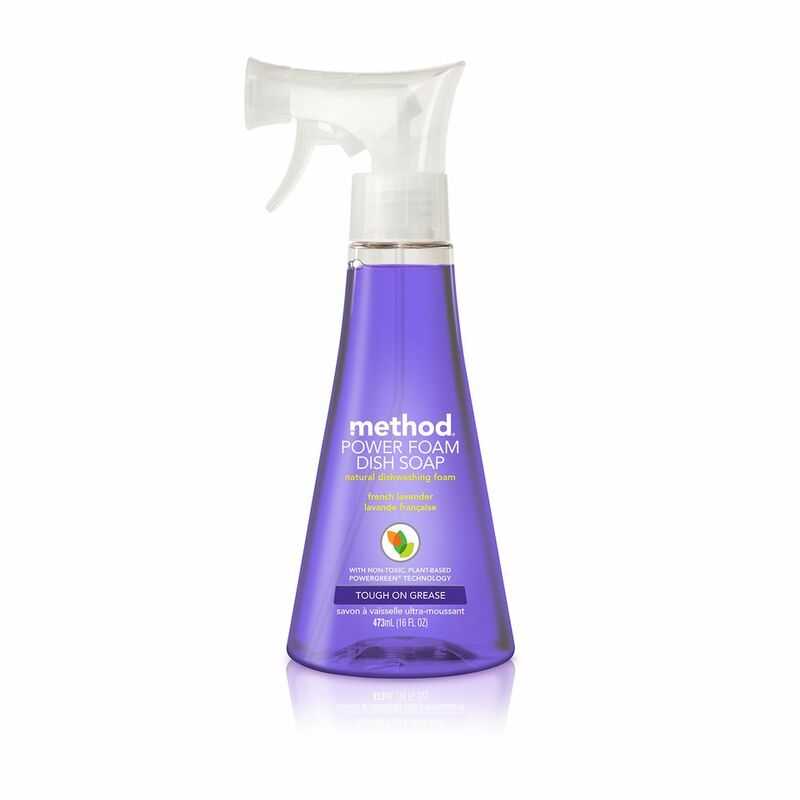 Keeping things clean and sudsy in the kitchen sink is the new Power Foam Dish Soap from Method! 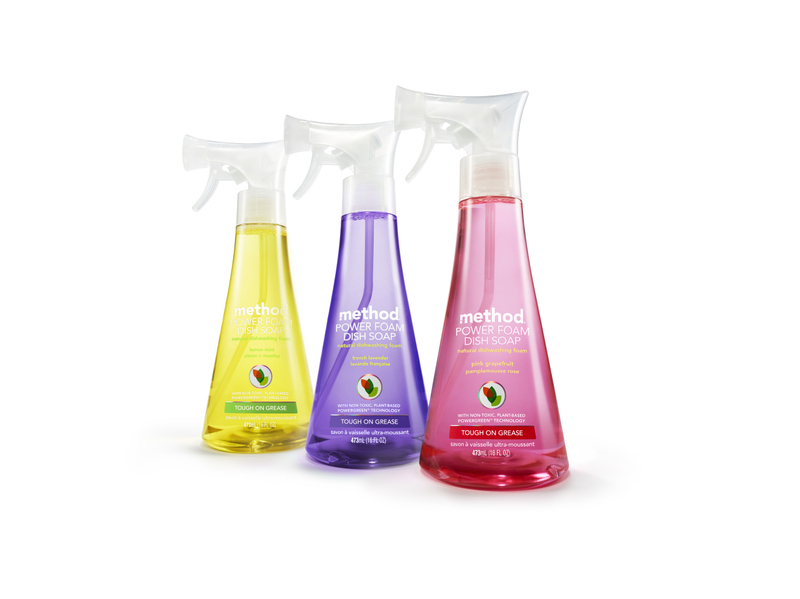 Method’s new Power Foam Dish Soap is designed with an easy-to-use trigger spray bottle, which was designed to reach and clean even the toughest of spaces. As an added bonus, we all know that fun foaming soap is an ideal solution for getting kids involved in the dishwashing routine. (or any routine that involves cleaning!) The new Power Foam Dish Soap is available in French Lavender, Pink Grapefruit, and Lemon Mint and retails for $3. Visit MethodHome.com. http://tinygreenmom.com/wp-content/uploads/2013/10/Method-Power-Foam-Hero-Shot.jpeg 959 1280 Tiny Green Mom http://tinygreenmom.com/wp-content/uploads/2018/07/logo-sm.png Tiny Green Mom2013-10-16 18:59:252014-02-28 23:10:00What's New in Eco-Cleaning? 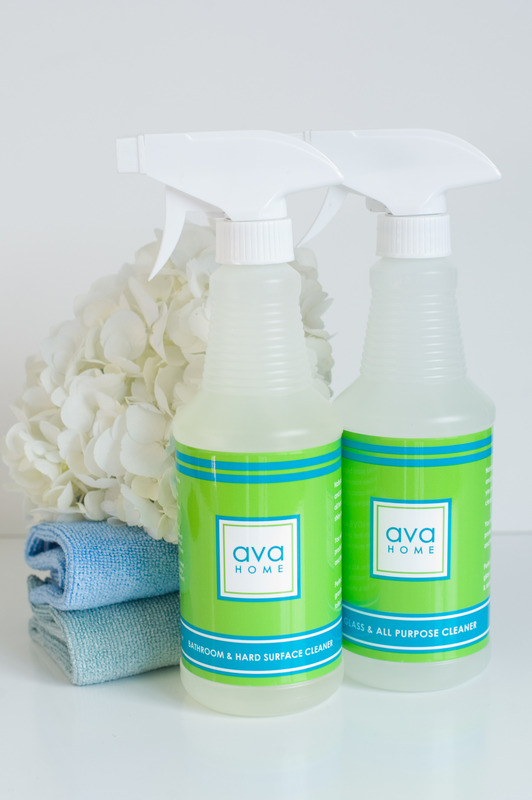 “Mom” has a new favorite when it comes to green cleaning products – Ava Anderson Non-Toxic! The Ava Home collection will keep your home clean but not toxic, and for “Mom,” who has two little ones, this is of the utmost importance. However, not all “green” cleaning products are created equal, and we were pleasantly surprised by the efficacy of the entire Ava Home line when testing out the products at Tiny Green Mom. First thing to note – the incredible aroma of the cleaning products! The essential oil blend are not only powerful cleaning agents, but they make your home smell incredible right from the first spray! All of Ava’s Home products are a strong blend of the gentlest natural surfactants, minerals, and enzymes plus an essential oil blend of peppermint, lavender and tea tree oils which offer strong cleaning results without harmful chemicals and synthetic fragrance. They are the safest and best eco-friendly cleaning products on the market, and are human & pet safe as well. The ingredients are as follows: deionized water, fatty acids from plants, coconut oil, folic acid, sustainably-sourced minerals and enzymes, essential oil blend of peppermint, lavender and tea tree.All ingredients used in Ava Anderson Non-Toxic products score a ‘0’ on the Cosmetic Database’s toxicity scale- the lowest number you can be awarded. Our favorite was definitely the All Purpose & Glass Cleaner! 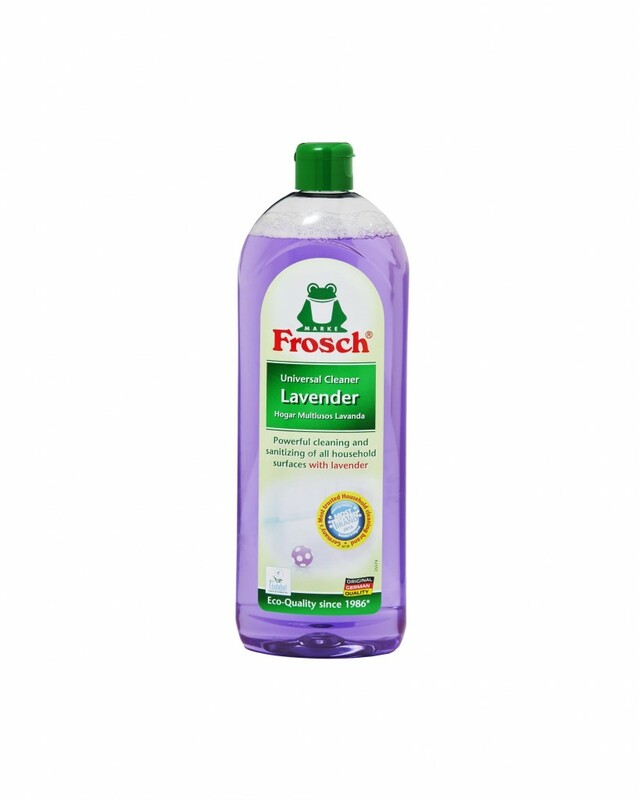 Blended with gentlest natural surfactants, minerals, enzymes and essential oil blend of peppermint, lavender and tea tree oils, this powerful cleaner gives strong cleaning results without the use of toxic chemicals and artificial fragrances. We also adored Ava’s Dish Soap, which made cleaning dishes a much more relaxing experience due to the armoa! 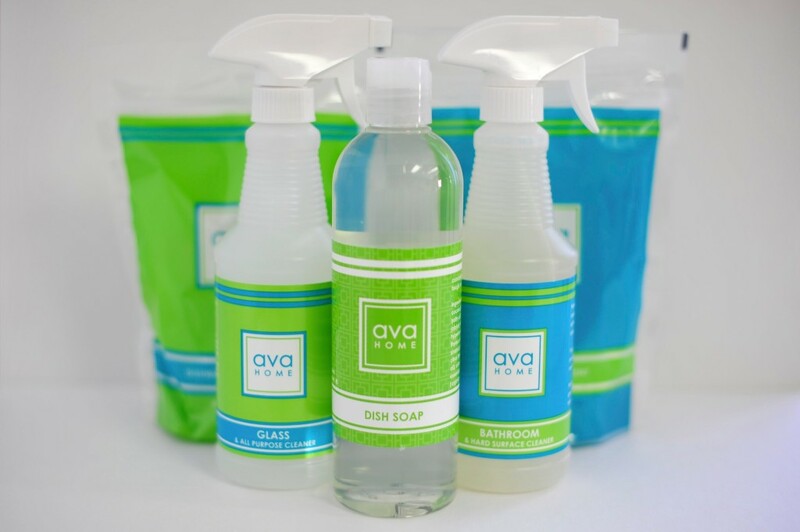 Made from naturally derived minerals, organic enzymes and biodegradable soda ash, Ava’s Dish Soap will clean your dishes without leaving toxic chemical residue. For greener cleaning in the bathroom, the Hard Surface & Bathroom Cleaner is both family and pet safe, and cleans tough to clean areas easily! What we also found interesting to note is that Ava Anderson is a young, savvy eco-entrepreneur! This talented and smart young woman founded Ava Anderson Non-Toxic when she was only 14. Now at 19, her collection of organic, non-toxic products enjoy a large celebrity mom following including Alicia Silverstone, Kelly Preston and Laila Ali. To learn more about the entire Ava Anderson Non-Toxic collection, visit avanaturals.com. Cultivating a clean and healthy environment can often seem to be at odds with keeping a home green and eco-friendly as well. Many people struggle to find cleaners that are effective which do not contain harmful chemicals or are housed in non-biodegradable packing. The tension can finally be eased by opening your eyes to the cleaning power of these green cleaning machines. Laundry typically presents the toughest cleaning challenges. From grass stains to stubborn red wine, we often feel the desire to pull out the bleach and other unnaturally abrasive products. Resist the urge by switching over to Arm & Hammer Essentials Concentrate. This product is even effective in laundry cycles using only cold water. The price is friendly as well. 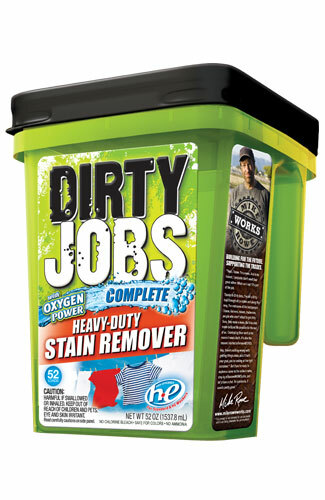 For only $3.49, customers receive 50 ounces of cleaning power. Controlled testing has proven its effectiveness on everything from inks to grape juices. Planet Ultra Dish Washing Liquid is a top green contender in the world of dish washing liquids. Testing of this product reveals consistent cleaning power of dried-on food particles in addition to displaying the ability to wash the largest numbers of dishes effectively in one cycle. Planet Ultra can be a part of your kitchen arsenal for roughly $3 per 25 ounces. The compound is completely biodegradable, making it ideal for any situation where green cleaning is a necessity. Camping or mixing the soap with freshwater sources will do no harm. Like many high-quality green products, diluted mixtures of this compound is actually effective for other jobs around the house which include carpet cleaning and glass surfaces. The best carpet cleaning in Orange County is well aware of the green market cleaning supplies, making such products integral to their natural processes. The world of all-purpose cleaners is vast. Some of the claims are extraordinary, including products that claim they double as everything from facial scrubs to pet shampoos. 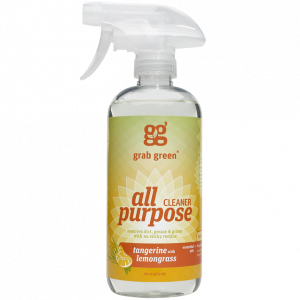 Sun and Earth all-purpose cleaner has been shown to cut through grease like few other green products. This kind of power from natural ingredients is what to look for in an all-purpose product. For $3.80, buyers get a cleaner that can hold its own in the bathroom or on kitchen counter-tops. Simple Green All-Purpose Cleaner passes the test on the toughest stains imaginable. This product cuts its way through grime cooked onto grills and dissolves the oily stains from the porous surface of concrete floors. It is extremely concentrated, however, meaning that customers must dilute the product by mixing it with water before application. Cleaning our homes is hardly the most fun chore in the world. If you’ve got a growing family, then you don’t need us to tell you how quickly your home can get dirty – particularly your floors! Keeping on top of your cleaning routine is important if you want to maintain a happy and healthy home. However, it’s even more important when cleaning your home that you don’t use products which can harm the environment. The good news is that you don’t have to splash out on specialist “eco” products which cost a bomb – there are plenty of cheap alternatives… many of which we bet you have just lying around your home! With that in mind, Flooring Supplies has come up with some great eco-friendly cleaning tips you can use. Not only will you get your home looking as good as new, you can be confident you won’t be harming the environment either. Believe it or not, you can clean hardwood floors by using boiling water and two teabags. The tannic acid in tea creates a beautiful shine for hardwood floors. Let two teabags steep in the boiling water for a few minutes. Pour the tea into a bucket. Take a soft cloth and wring it out in the tea. The cloth merely needs to be damp, not soaked. This will enable the floor to dry quickly. Wash the floor and be ready to be amazed by the sheen… and no sticky or oily residue. To remove a stain from your carpet simply mix up a solution of 1 part vinegar to 2 parts ice water into a clean spray bottle. Once applied, let the vinegar solution sit on the stain for a little while, and then wipe with paper towels. Vinegar can also be used to clean hard water stains and soap scum from your bathtub, sinks, shower and your toilet. It sanitizes as well as cleans. Dilute the vinegar with water or use it full strength. Baking soda makes a great natural deodorizer! Just sprinkle a little dry baking soda on your carpet to freshen, let sit for a few minutes, and then vacuum. It’s also a natural drain cleaner. Measure 1/2 cup baking soda and 1/2 cup vinegar. Pour the baking soda into the drain first, and then the vinegar. Don’t worry if you see it bubble. Follow with two quarts of hot water and you’re done! You can use baking soda to clean your oven too. Cover the bottom of it with a sprinkling of baking soda, spray it with water until it’s very damp and keep spraying every hour or so. Let it set overnight and when you wake up the next morning just scoop out the grime and give it a wipe! Lemon juice is another great product which can be used to clean your home. Try mixing lemon juice with vinegar or baking soda to make cleaning pastes. 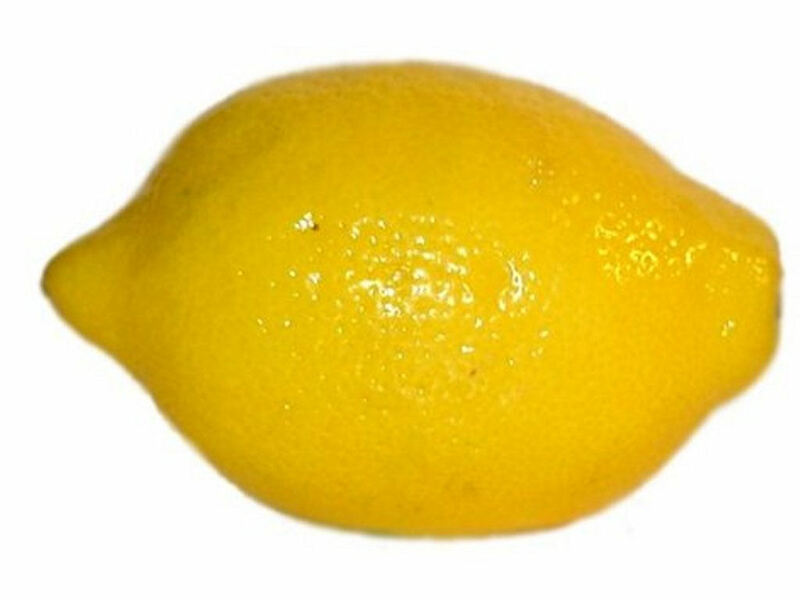 Simply cut a lemon in half and sprinkle baking soda on the cut section of the lemon. You can use this lemon to scrub dishes, surfaces, and stains! You can also use lemon juice as a natural bleach too. Simply mix 1 cup of olive oil with half a cup of lemon juice and you have a furniture polish for hardwood furniture. So there we have it – a few natural products you’re bound to have in your home which you can use to get your home looking cleaner and smelling fresher. Combine these methods with regular dusting and vacuuming – maybe even add a few pot plants too – and you’ll have a home you’ll be proud to show off. It’s summertime, and that means sweaty clothes after playing outside, shoes that may collect lingering odors after a rain shower, and many more questionable odors. What Odor? makes it easy to eliminate smells in an instant with a blend of 41 essential oils! Not your typical toxic household odor eliminator, What Odor? is 100% biodegradable and is so gentle that it can be used on all surfaces and even on all of your furniture. The entire line of products is Non-Hazardous, Non-Flammable and Non-Corrosive, so you can use it anytime, anywhere, on anything in the home. “Mom” loves that it gets rid of that diaper pail smell that never seems to truly leave the pail, as well as making her dog’s pet bed smell nice and fresh! This non-toxic, multi-purpose odor eliminator is a must-have for any household with pets or children! To learn more about What Odor? 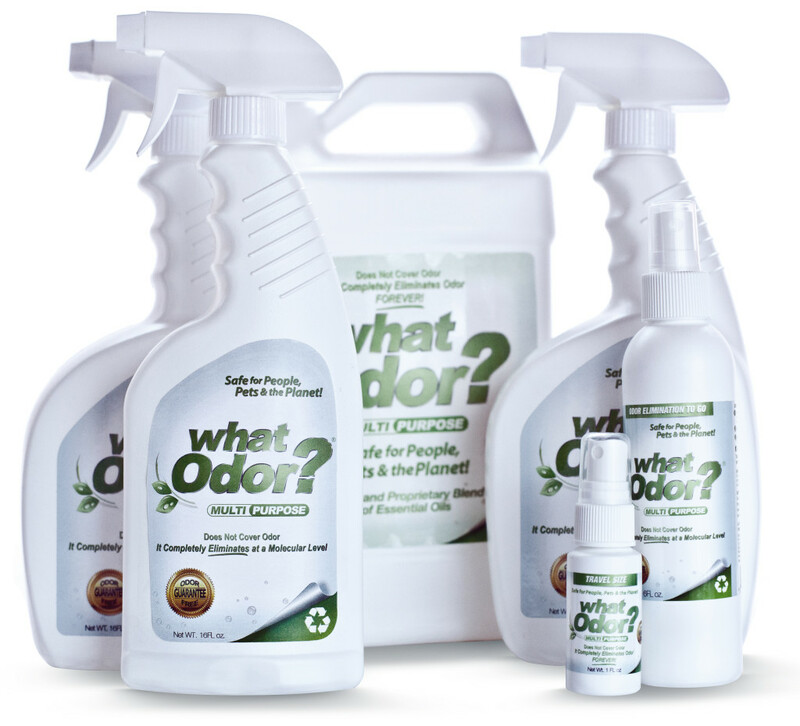 and their various products, or to order online, please visit WhatOdor.com. http://tinygreenmom.com/wp-content/uploads/2018/07/logo-sm.png 0 0 Tiny Green Mom http://tinygreenmom.com/wp-content/uploads/2018/07/logo-sm.png Tiny Green Mom2012-06-21 07:00:322012-06-20 11:24:23What Odor? 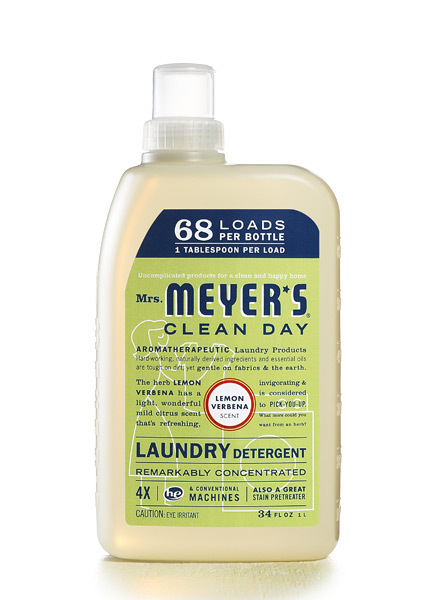 68 loads of laundry done – all in a space-saving, environmentally-friendly bottle from Mrs. Meyer’s Clean Day! 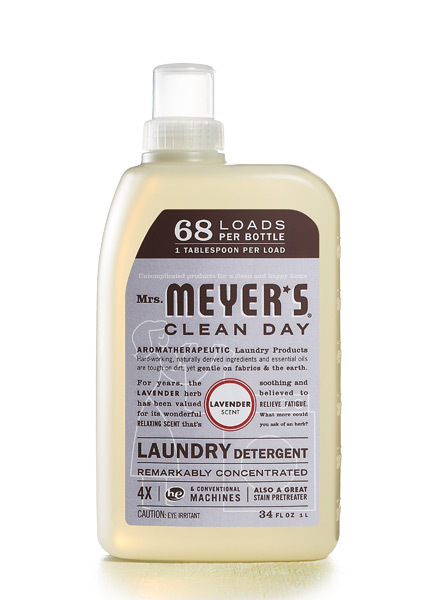 Available in 4 delightfully-smelling all-natural fragrances, including Lavender, Lemon Verbena, Rosemary and Bluebell, Mrs. Meyer’s will clean your clothing without the harsh chemicals. Phosphate-free, biodegradable, and made with Borax and natural essential oils, “Mom” is loving that 1 tablespoon is all you need to clean a full load of laundry! “Mom” especially loves the Lemon Verbena – it is a light citrus scent that perks you up immediately and the laundry room smells lovely after use! 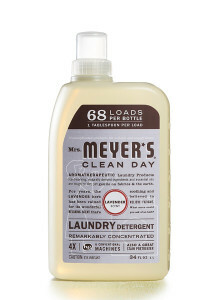 To learn more about Mrs. Meyer’s Clean Day products, to locate a retailer near you, or to order online, please visit MrsMeyers.com. One little waterless, non-toxic cleaning towel really CAN do it all! New to one of “Mom’s” favorites brands, ECOS Earth Friendly Products, is the Orange Plus Gentle Cleaning Towels! Safe for use on skin as well as around the home, these convenient towels will clean everything from kitchen and bathroom countertops to children’s dirty hands when on-the-go! The towels smell absolutely fantastic due to the orange oil, which is also an effective cleanser, as well as aloe vera, wheat germ and vitamin E so that your hands stay soft after use. The cleaning towels come in a small, recyclable container that packs easily or can be kept in the car for use while out and about with the family. Plus, the towels can even be recycled in facilities that can separate HDPE #2 from paper. 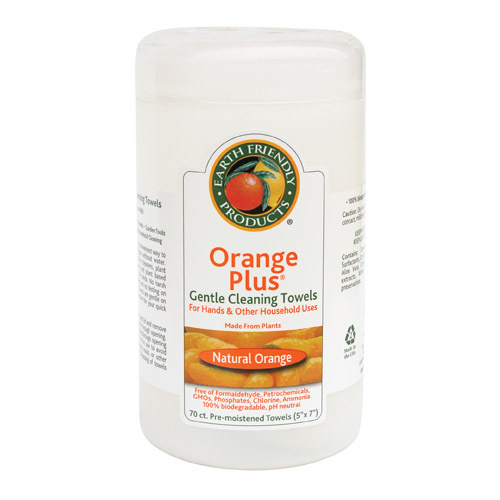 Why choose Orange Plus Gentle Cleaning Towels? •Will not etch, scratch, stain or harm most hard surfaces. •DEA free, free of phosphorus/phosphates, mineral acids, HCl, harsh chemicals and solvents, enzymes, chlorine and petroleum ingredients. •Towels may be recycled in facilities which can separate HDPE #2 from paper. “Mom” is a huge fan of ECOS Earth Friendly Products, and these new towels are simply brilliant! 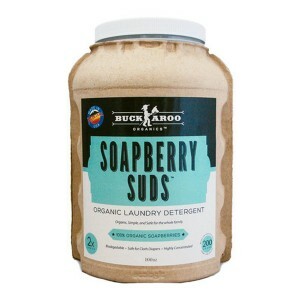 To learn more about their entire line of environmentally-friendly household products, please visit ecos.com.